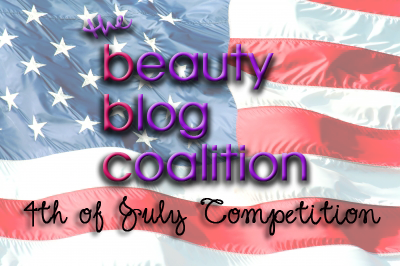 The Beauty Blog Coalition members may not all be American, but we do love to celebrate all holidays with our friends, so we bring you the 4th of July Competition, with not one but two $300 USD Visa gift cards! All terms and conditions may be found at the bottom of the Rafflecopter widget. • Competition ends July 5th, 2012.• You may enter on any of the blogs below - Rafflecopter won't allow you enter twice. • You may tweet about the giveaway (the last option in the Rafflecopter) every day for extra entries! Please visit the lovely sponsors of this competition!